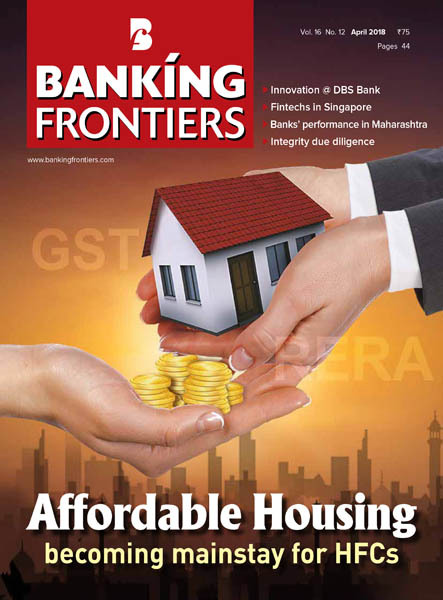 Banking Frontiers - 04.2018 » Download PDF magazines - Magazines Commumity! Banking Frontiers is a monthly B2B magazine that covers the activities of the finance sector in India. It covers their activities in the areas of Technology, Security, HR, Marketing, Growth, Expansion, Risk Management, Compliance, Tie-ups, etc.The Banking, Financial Services and Insurance, or BFSI, sector is today the most happening sector - be it the excitement of challenging business models, or products and services or mergers and acquisitions or pure organic growth or the response to globalization.